Celebrate Mother’s Day in Wine Country! If brunch suits your fancy, you’ve got lots of options! Try Carol’s at Baily Winery; 11a-3p, Bel Vino Winery; 9a-3p, Danza del Sol Winery; 10a or 1p, Doffo Winery; 10a or 12:30p, Frangipani Winery; 11a-3p, Monte de Oro Winery; 10a or 12:30p, South Coast Winery Resort & Spa; 10a – 3p, Thornton Winery; 11a-4p, Wiens Family Cellars; 11a-1p, Wilson Creek Winery; 10a-3p. Lunch and Dinner will both be served at Meritage Restaurant at Callaway Vineyard & Winery from 10a-8p. And if you’ve always wanted to Learn To Paint, Oak Mountain Winery is offering a fun alternative to the usual at 1p. All of our wineries will be open and ready to see you. Happy Mothers Day, all! Posted in Association News, Events, Holiday Events, Wine Country Restaurants, Winery News, Winery Specials & Deals | Comments Off on Celebrate Mother’s Day in Wine Country! Baily Winery is one of Temecula’s oldest wineries, founded in 1986. Owner and winemaker Phil Baily has produced hand-crafted premium vintage wines for over 25 years, and all made from grapes grown on his property in the Temecula Valley. Their wine-making philosophy is simple: Baily makes wines that they personally like to drink. 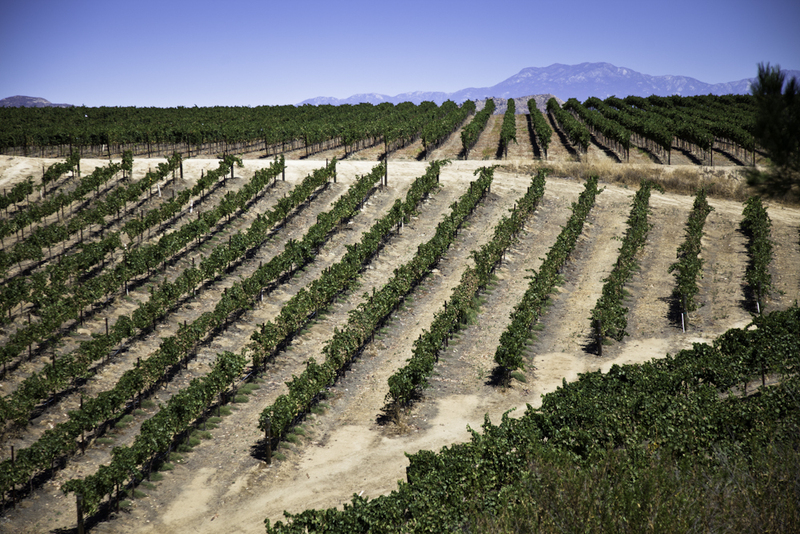 Their grapes grow on 28 acres of land across four different locations in Temecula Valley. 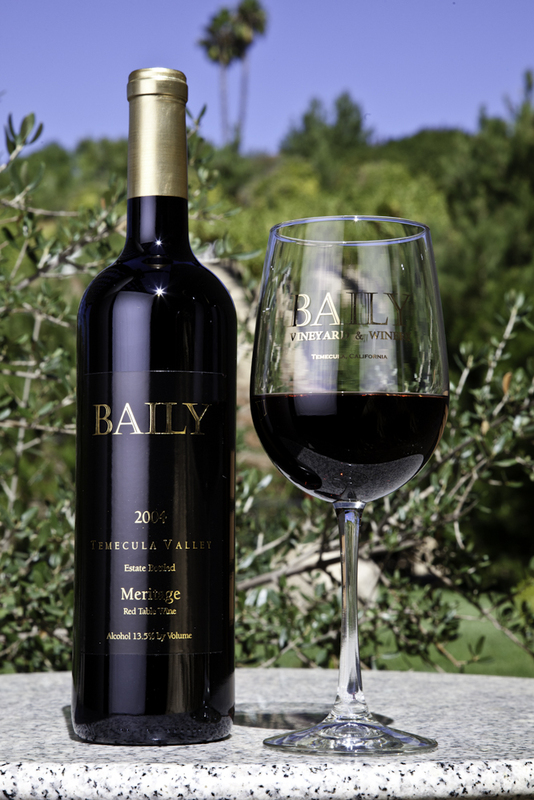 Baily makes and sells all the Temecula Valley favorites including Cabernet, Merlot, Chardonnay, Riesling and plenty of classic red blends, such as Meritage. For the full list of Baily wines, visit the wine store. The first acre of Mother’s Vineyard was planted by the Baily family on Mother’s Day in 1982. Expanded in 1983, it now comprises five and one-half acres, all planted to the Riesling variety. The grapes have the classic apricot flavor prized in Riesling. Planted primarily to Bordeaux varieties, Cabernet Sauvignon (five and one-half acres), Cabernet Franc (two acres), Merlot (two acres), Sauvignon Blanc (two acres) and Semillon (one acre), this vineyard was planted in 1968 and purchased by the Baily family in 1994. In 2005, one and one-half acres of Malbec and two and one-half acres of Sangiovese were planted. Comprised of one and one-half acres of Cabernet Sauvignon and one acre of Sauvignon Blanc, these grapevines are the ones you see at the visitor center. Grown on sandy/clay soil, they produce wines with exceptionally fruity varietal aromas. Planted by Phil & Carol’s son and daughter-in-law, Chris and Kim, this vineyard has two acres of Chardonnay and two acres of Muscat Blanc. The soil is decomposed granite and well-drained, producing grapes with intense varietal aroma. 33440 La Serena Way (Corner of Rancho California Road) in the heart of the Temecula Valley Wine Country. Taste any 6 different wines, (no restrictions) – click here for the tasting menu. Private tasting experiences for up to 12 people are now available at the new exclusive Estate Club located at the production facility, hosted by owner and winemaker Phil Baily. This appointment-only experience features a library tasting with personal attention conducted in a beautifully appointed, intimate setting. Included is a tour of the production facility at one of the few wineries in this Region where every bottle of wine is estate grown and bottled. Appointment Only – call 951.676.9463 for availability. Price $40 per person. Payment is due in advance with a 48 hour cancellation policy. No shared tastings. Carol’s is a much-loved wine country restaurant located on the Baily winery property. 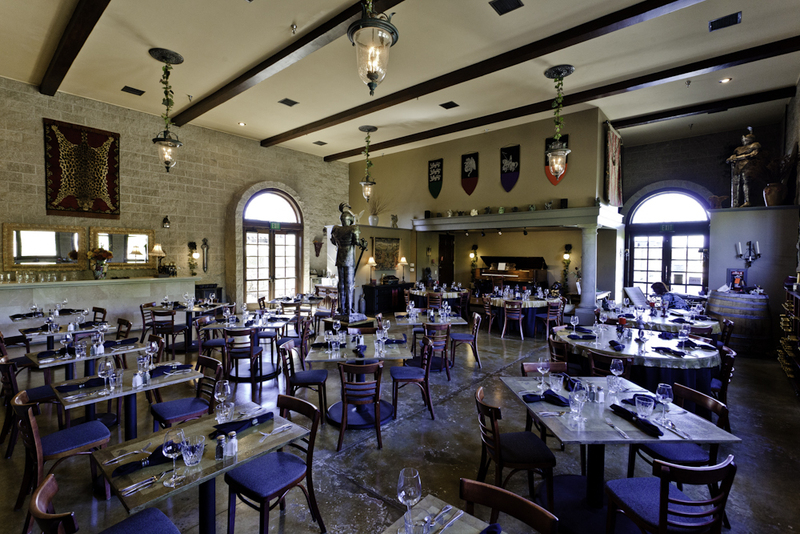 The perfect lunch spot in wine country, Carol’s offers both indoor and outdoor seating. Recently, they have introduced a full dinner menu, available on Saturday evenings. If you’re a dog-lover, be sure to stop by every Sunday for Carol’s “Dog Day Sundays” to enjoy live music and special treats. Baily Vineyard & Winery was established in 1986 by Phil and Carol Baily with the goal of producing excellent wine from their own grapes to be sold primarily out of the winery. Specializing in Bordeaux varietals, Phil and Carol handle all aspects of the winery, from vineyard maintenance to customized blending to creating the delicious menu at their popular restaurant. The Bailys have been making wine in Temecula Valley for 26 years. They are proud to be an estate-bottled winery, which means that all the grapes are grown in the same vineyard and made by the same winemaker – Phil himself! Baily wines offer a depth and consistency that appeal to the advanced wine enthusiast. A trip to the tasting room gives visitors a chance to try all their favorite varietals – from Chardonnay and Riesling to Cabernet and Merlot; plus some fantastic blends! Meritage is their flagship blend and features Cabernet Sauvignon, Merlot, Cabernet Franc, and Malbec. Fans of white blends should be sure to taste the Montage. Check out their wine store here! Baily Winery now offers private tastings for up to 12 people at the exclusive Estate Club located on Pauba Road. This VIP experience features a vertical tasting and private tour of the winemaking facility. Private tastings are personally hosted by Phil Baily. 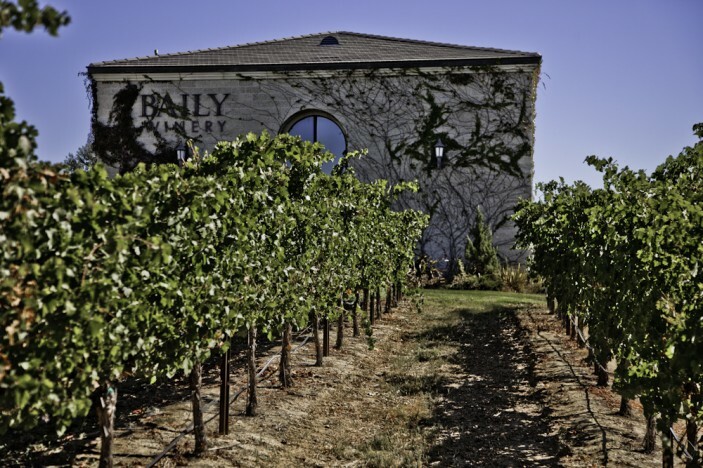 Baily is one of the few Temecula wineries that has built an inventory of vintages dating back to 2003. Vertical tastings highlight the changes in a particular grape over time. Currently, Baily Winery vertical tastings feature 5 years of Merlot, 5 years of Cabernet, and 5 years of their Meritage blend. Private tastings are by appointment only. Please call 951.676.9463 for availability. Introductory price is $25 (reg $40.) Please see website for more details. A popular stop for lunch, Carol’s Restaurant offers delicious California and Mediterranean fare. Open Thur & Fri 11:30-2pm; Sat & Sun 11:30-3pm. Al fresco dining is available. For reservations, please call 951-676-9243.